Put on the boat using the seatbelts and feel the wind blowing in your hair. 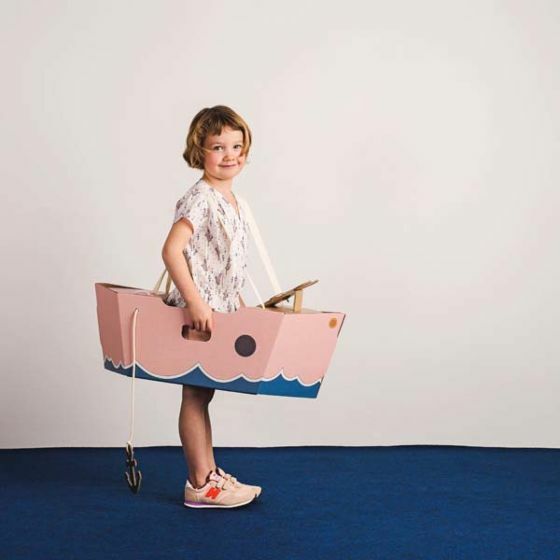 Play a real captain with your very own cardboard boat! Don’t forget to lift the anchor! The boat is delivered in a cardboard sleeve. Ready to assemble. No tools are needed and all elements* are included, ready for use. Easy to demount for easy storage.